Among Schoolchildren illuminates a year in the life of a fifth-grade teacher struggling to make a positive difference in the lives of her students. In Holyoke, Massachusetts, Christine Zajac toils far from the limelight. Her story, and that of her students is heart-warming and inspiring as she helps them to become full-scale human beings. We find that some are brilliant, that others are troubled, and that Ms. Zajac never gives up. 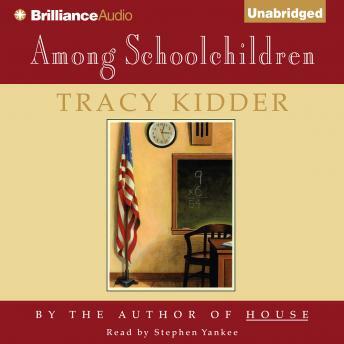 Even more novelistic and impressionistic than House, Among Schoolchildren is Kidder's best book yet. Listeners will be drawn into the lives of feisty, funny and tough Ms. Zajac and her equally endearing students.